The Il Poggio Farm has approximately 100 hectares at its disposal. This land includes Mannella, Bandite, Erosa and Cantano which are rich in organic farmings like cereals, woods, vineyards, olive grows, aromatic herbs and vegetables. Among the finest products our guests can taste our PDO Terre di Siena olive oil, Poggio Red IGT Organic wine, Poggio Corno Red Orcia Doc Organic wine and Poggio White. On the west side, location Le Buche, the Cinta Senese is raised in the wild. In Cantano, the core of the farm, in addition to the stables, there are a tennis court, the breeding farm of our organic chicken and the processing workshop of farming products and Cinta Senese. Thanks to the great processing of these products we get very flavorsome cold cuts and many other delicacies.Concerning the organic farming, the production of spelt, for its nutritional value, plays a prominent role. The aromatic herbs and vegetables are used both at the restaurant by our chef Massimo and at the workshop to spice many of our products such as cold cuts. 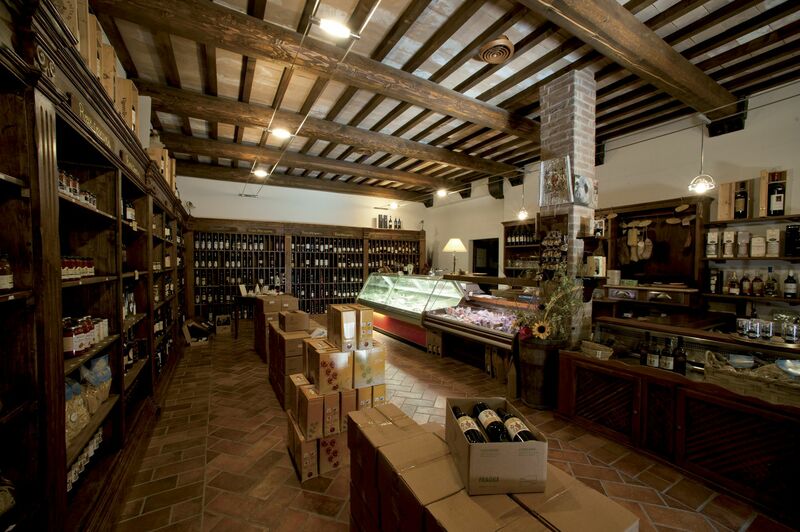 The Dispensa di Mafalda store provides all the products of our Farm such as the cinta cold cuts, the organic chicken, wine, oil, Pecorino di Danfi and many other tidbits produced by small family farms. 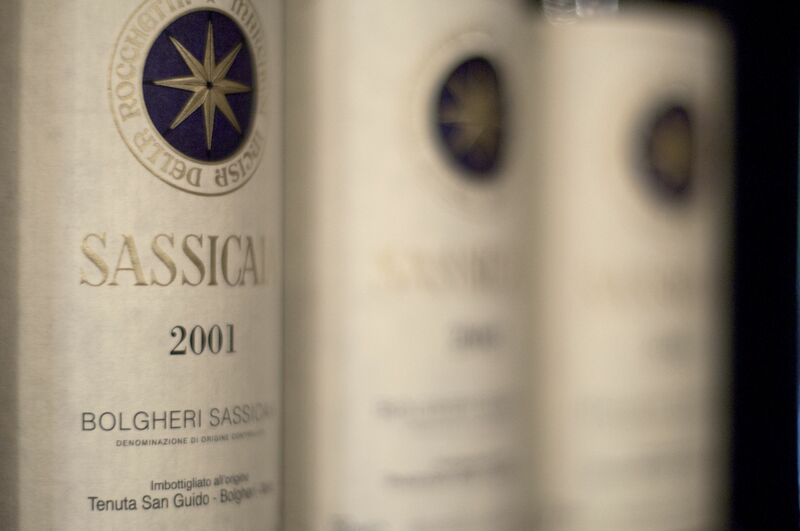 Furthermore, we have at our disposal a wide range of wines selected from the best Tuscan and Italian cellars. 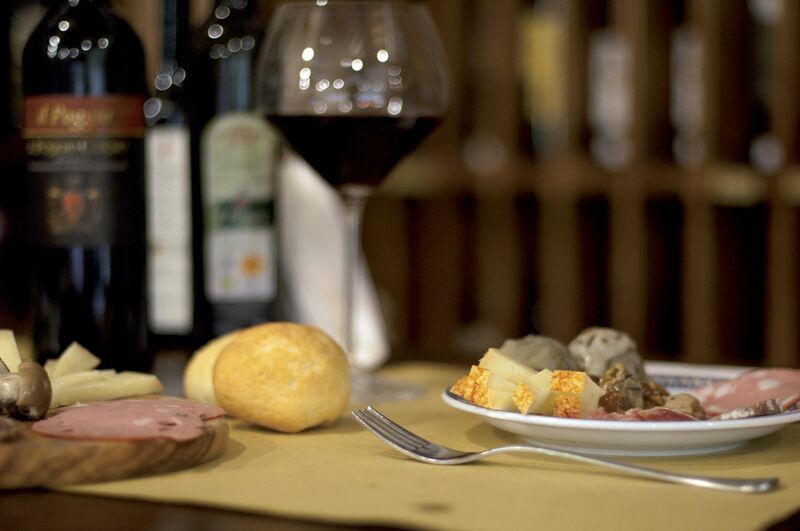 Not to be missed the special happy hour at our farm store, where you will relish the Il Poggio products and wine!